I am so excited to share some great news with you! This is something that has been on my mind for quite some time now, and is one of the main reasons I started Clothed in Scarlet. 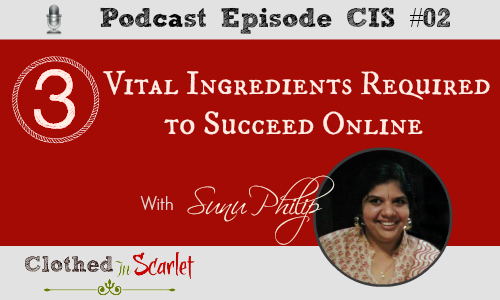 We’re going to begin a series that will help you launch your online business from scratch. … you won’t want to miss this series! This series has been enhanced and compiled into a handy eBook. 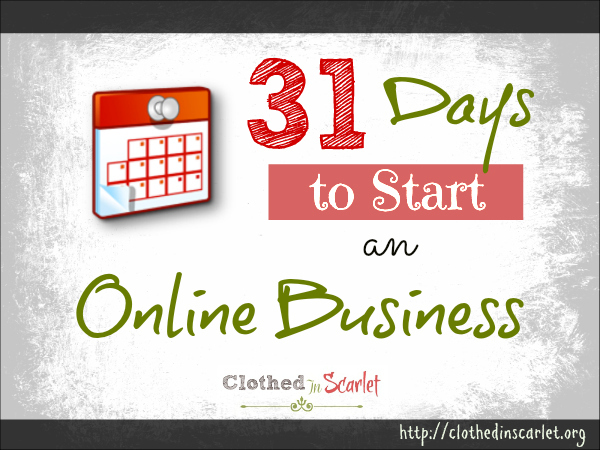 The brand new series “31 Days to Start an Online Business” begins July 1st and runs through the month of July! 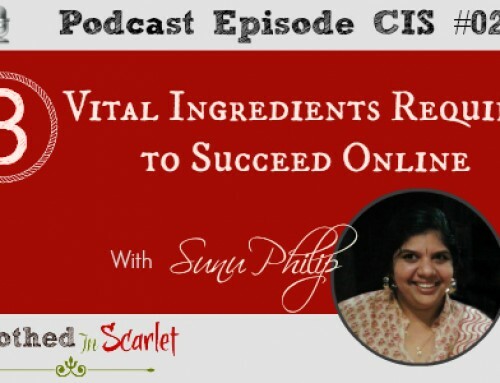 This will be a series of 31 posts, and each will take you one step closer to setting up your dream business online. You won’t want to miss this series even if you already have an established online presence. There is something in it for everybody! I can’t wait to start sharing my thoughts with you, empowering you to get started on your very own online business. I hope you will be joining us from July 1st to July 31st! Mark your calendars and stay tuned for more! The series has begun and you can find the links to each day’s post below. Day 1: What’s Your Idea? Day 3: What’s Your USP? How Different Are You? Day 16: Mega Graphics Giveaway! Looking forward to what you have to share! I’ll be with you online and in spirit! 😀 Thank you!! Thank you so much Joanna. I sincerely hope it will be as God intended and I will be able to do my best. I would like to join this. Where do we sign up? Thank you Vanessa for dropping by. You really don’t need to sign up to get access to the content but you can subscribe to our blog if you don’t want to miss any post. Sunu- I want to thank Courtney @ Women Living Well for sharing your workshop. This is fantastic and overdue for me and my mom (Aurie). We started AuriesDesigns a little over a year ago. We create handmade papergoods: scrapbooks, journals, invitations, greeting cards, gift tags, bookmarks etc. We incorporate scripture in our work when every we can. Can’t wait to find out more and to join everyone during the month of July. Sunu, I also ran across your series from Courtney @ Women Living Well. My husband has been asking for a couple years if I wanted to start my own business online. It just seems a little scary to me, for one, I do not know what or where to start. So I hope this series will help me understand a little on HOW to start a business. The Day 1 question, is exactly where I get stuck! 🙂 I guess I get intimidated because I am not very good with technology. Looking forward to what is ahead! We have 6 children ranging in age from 17 to 9. 3 girls and 3 boys! I love to be involved in their lives! I like to bake and use my family as “guinea pigs” and make things that I find in cookbooks or online that sound good and see if they pass the test! Lisa, the ideas doesn’t have to be grand but something that adds more value to the end user. And I was a computer illiterate 7 years ago! Take one step at a time..You can do it!!! I am looking forward to your next blog. I have been procrastinating an online business for a couple of years now. The questions really helped narrow the area I want to target and pursue. Thank You! Linda, I am so glad you found Day 1 post helpful. Do check back often (or subscribe to get the updates in your inbox)..we have so much coming up in this month! I signed up under your blog and I never received any of your daily posts, very disappointed!!! I am so sorry to hear that. Were you subscribed using Google Feedburner? These are some glitches that happens while using that option. I apologize. This is exactly what I have been searching for! You are a blessing to have posted all of this information in one place! I have always wanted to have an online business and start a blog. I came across your article and I believe that this is what I need to get started. Thank you. Keep up the good work. God bless you!